Key Player This Week: Similar to last week, It’s going to another physical running game where Weber State is likely to score its points, and again LB Zach Hall and the defense will need to be up to that challenge. Hall leads a defense that ranked first nationally in turnover margin (+2.09/game), turnovers gained (31) and passes intercepted (21) entering the playoffs, and the junior tallied 150 tackles (13.6/game). If Hall can contain the Weber State running game, they have more than a puncher’s chance here. 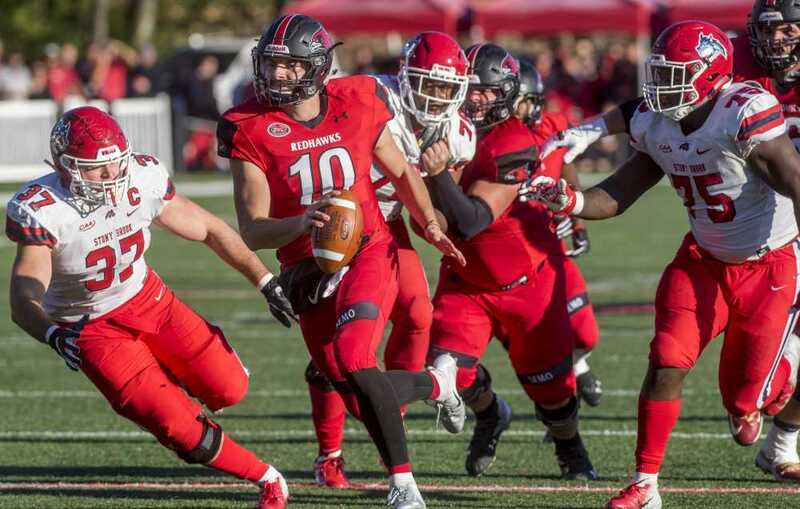 Fantasy Bonus Baby This Week: Last week, SEMO QB Daniel Santacaterina surprised many by tossing 3 touchdown passes in their win over Stony Brook. 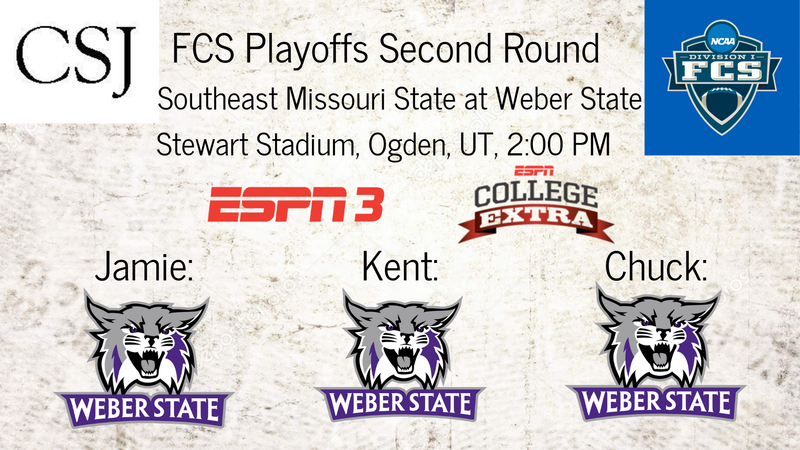 With Weber State’s elite pass defense, however, they’re unlikely to be able to recreate that in Ogned. 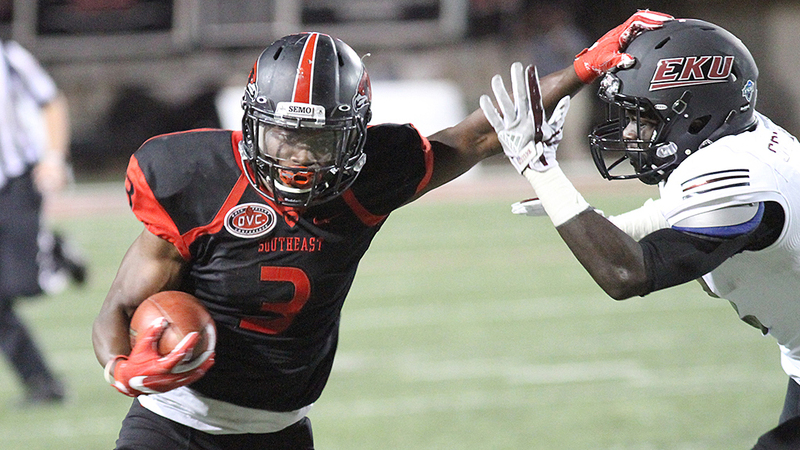 So OVC Offensive Player of the year RB Marquis Terry will need to be SEMO’s bellcow this week, even though he did lead the Redhawks in rushing with 64 yards in the win. Santacaterina did a fine job last week, but they will need the 1-2 punch even more this week. Despite missing parts of three games this season, ranks fifth nationally in rushing touchdowns (14), 13th in total rushing yards (1,162), 14th in all-purpose yards (141.64/game), 15th in rushing (105.6 yards/game), 21st in scoring (8.2 points/game) and 26th in rushing yards/carry (6.21). How They Got Here: Weber State entered the 2018 season with some pretty big expectations. Coming off of a 9-2 season, the Wildcats under head coach Jay Hill were expected to compete for the Big Sky championship again. But they still had some big questions – namely, where would their offense come from. Behind their stout defense and the play of a tremendous freshman, the Wildcats went undefeated at home and ended up defending their Big Sky Championship on the final day by beating Idaho State 26-13. Physical play on both offense and defense, and spectacular special teams play, has been the Wildcats’ calling card all season. The Wildcats had 1 punt and 2 kickoffs returned for touchdowns, and it seemed like all three came in huge spots. Playoff Floor: SEMO, if they can get the upper hand in the trenches, could pull off the upset if they jump to an early lead. Weber State is built to build on leads, not come from behind. Playoff Ceiling: The Wildcats, as the No. 2 seed, are daunting to play at home and have a tough defense for visiting teams to handle. Better yet, they match up tremendously with the seeds on the other side of the bracket – Eastern Washington, whom they beat, and UC Davis. Could they grind it out all the way to Frisco? Key Player This Week: If RB Josh Davis isn’t the frontrunner for almost all of the FCS Freshman of the Year awards, he should be. The Sandy, Utah native is 5th nationally with 128.8 yards rushing per game and he’s also a weapon on special teams, having returned a punt for a touchdown. The question is whether he can keep it going for a long postseason run. Fantasy Bonus Baby This Week: The Weber State defense is yielding only 118.4 yards per game on the ground, thanks to guys like 6’1, 305 lb DT Filipe Sitake on the Wildcat D line. 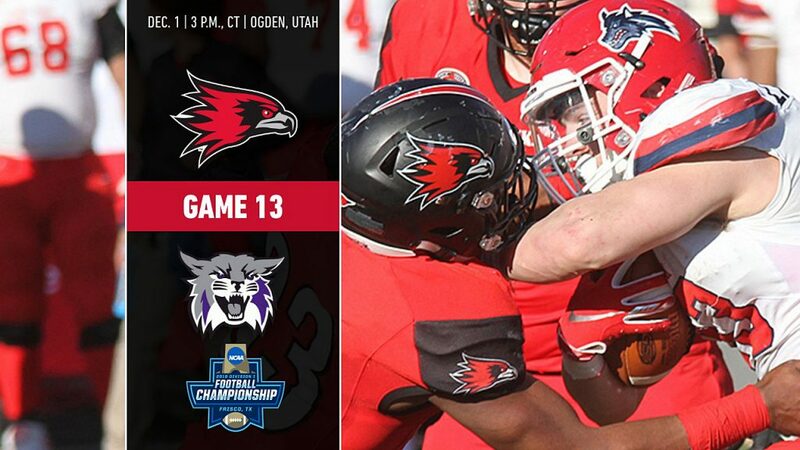 Will they be able to out-physical the SEMO offensive line and keep them out of the end zone?